Imagine a game that let you relive the first three movies at home on your console, with all the action and gun touting cop-fun... Well you don’t have to imagine it. John McClane is undoubtedly one of the best action heros of all time, now with four of his crime stopping adventures made into big budget Hollywood hits (I presume hes defeated way more bad guys when the cameras weren't around). Perhaps the last one got a little silly and those die hard Die Hard fans (I know, pretty good right?) would prefer that it wasnt even made, but definitely the first three are absolute classic action heaven. Imagine a game that let you relive the first three movies at home on your console, with all the action and gun touting cop-fun... Well you dont have to imagine it. It happened and it was like 16 years ago, keep up. 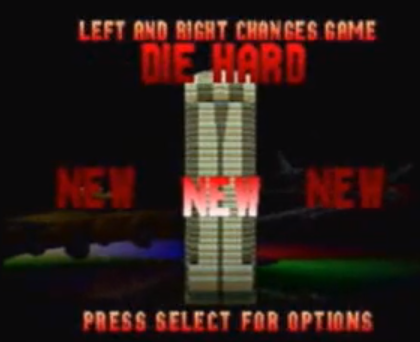 Die Hard Trilogy was released at the latter end of 1996 in various places around the world that video games get released. The Die Hard film series had finished up the previous year with Die Hard: With a Vengeance, at a time when terrorists were Russians that loved their family members. The three films spanned over 9 years and are undoubtedly still highly regarded cinema history and they made Bruce Willis a ton of cash. You might ask why the individual Die Hard films didnt have games released to coincide with their original release, and that would be a good question--for a child. The Die Hard games before Trilogy were average at best, the combination of two factors; they were movie tie-in games and the consoles they were on werent up to much. Die Hard (1990) for the trusty Commodore 64 was a brightly coloured third person romp through the terrorist filled floors at Nakatomi Plaza. Die Hard 2: Die Harder (1992) came out two years after the film of the same name, and was a light gun wannabe set in a airport, with the player moving the cursor to guide the cross hairs to shoot... hang on, these two look a lot like the first two games in Trilogy, probably the inspiration, maybe, but how am I supposed to know? There was also Die Hard Arcade (1996), which would have been way better if they took a risk and called it Die Harcade or Die Hardcade. It was a good game but it just didnt have much to do with the film series; the cover art looks more like Robin Williams than our boy Bruce. But anyways, after these sub standard Die Hard tie-ins we were rewarded for our patience and we had to wait for the Die Hard Saga to complete and for technology to catch up and give us a decent console (I say give, the Playstation cost both me and my brother our christmas presents that year). 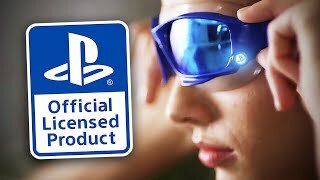 With the original Playstation came new power, able to cope with 3D gaming and a disc format that would allow for the three games that make up our trilogy of topic. The three games on the one disc are so different that as a child I assumed that they must have been released separately on a previous occasion, then complied onto this special collection. I have since corrected this misguided theory and learnt this is not the case, Croydon based developers Probe Entertainment decided to make a game with three very different stages. Each time the games were loaded (with a cool flaming loading screen) the three options came up and you could play in any order. The first was a model of Nakatomi Plaza, representing the original Die Hard. This game was a third/first person shooter in which you have to take out terrorists and rescue hostages, the terrorist for some reason took the decision to evenly disperse the crying prisoners throughout each floor. The limited draw distance made this section difficult, surrounded by a wall of black from which terrorists suddenly appear.